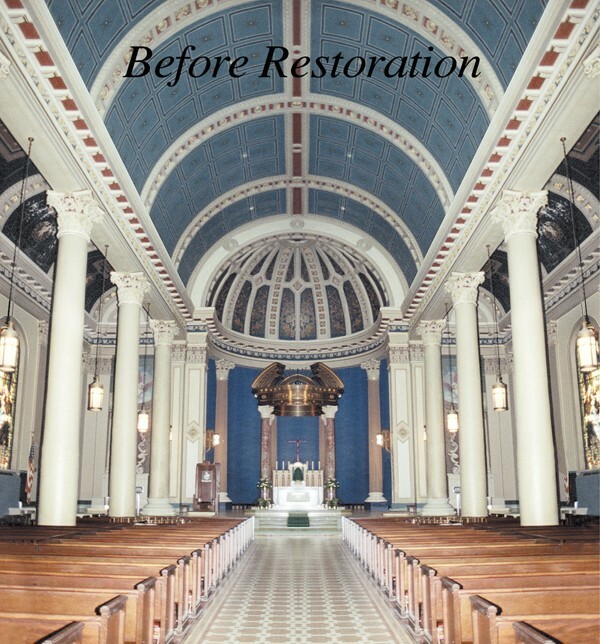 To renew the 1850 interior, enhancing the celebration of liturgies, articulating the present beauty and reflecting the history of the Catholic archdiocese in the sacred structure. 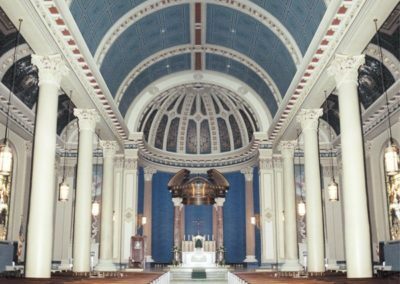 Conrad Schmitt Studios proposed to uplift the eye and direct it toward the altar through the installation of a new, coffered ceiling with fleur-de-lis symbols, representing the Blessed Virgin Mary, and shamrocks, for the Trinity. The historic, Romanesque interior, including the new ornamental plaster, was painted, gilded and glazed. 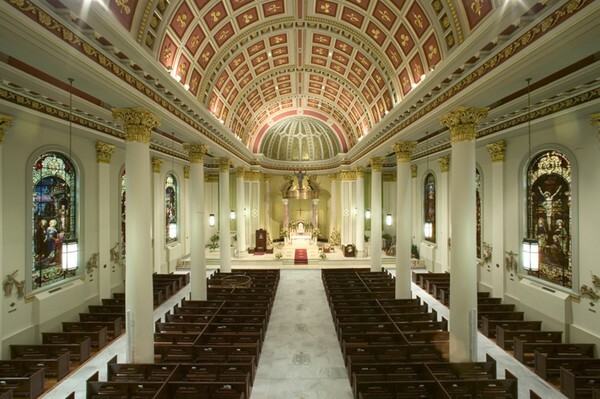 Gilded accents were added on the column capitals and in the apse. 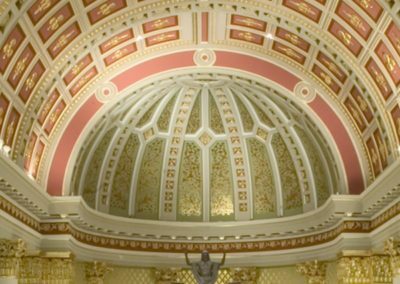 Two exterior domes were also gilded by CSS artisans. New marble flooring includes heraldic images of the coats of arms of the past and present bishops of Mobile, Alabama. 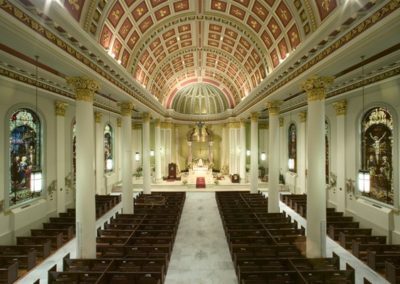 The Mobile, Alabama Cathedral oday glows brightly with renewal and embraces more archdiocesan history than ever before.